If you’ve decided that you want to escape the urban world and live out the rest of your days in a peaceful and healthy environment, Ridgefield Park is the ideal place for you. With a population of 13,000, this village in Bergen County qualifies as a safe haven for a stress-free life. And once you have that in mind, all that you really need is help getting there. So, All in One Moving and Storage has the perfect solution for you and your family. With the help of our expert Ridgefield Park movers NJ, all your relocation needs will be met with the highest standards. Our Ridgefield Park movers NJ are here and waiting to provide you with a memorable moving experience. Being in this line of business as long as we have, you tend to see how often people underestimate the risks of even the shortest of local relocations. For one to disregards the planning and organizational responsilibites during a relocation can only lead to complications. And that is why we make it our task to ensure that your relocation is conducted in a secure manner. After all, this is what you want in your Ridgefield Park movers NJ. What can our Ridgefield Park moving specialists bring to the table? Let us sign an official contract and shake on it – no hidden fees or unplanned expenses. There are many qualities that can make moving companies in Bergen County stand out. However, out of all of those, there are in truth only several that you should look for in Ridgefield Park movers NJ. And those same factors will determine whether your move to Bergen County will be a walk in a park or a storm. So, here is how this is going to go down – pay close attention now. There is no trust without credibility. It’s essential that you trust your team of movers, and that only comes with certain verification and testimonies. Affordable relocation services NJ are hard to come by. What good are the ideal Ridgefield Park movers NJ if you can’t afford them? This is why affordability is a key trait. Professionalism is always admired in a company. You need someone who knows what they’re doing while conducting themselves in a professional manner. Hiring a professional moving company in New Jersey is not like going out and buying a loaf of bread. It can be, if you don’t really care about your belonging, but we strongly vote against it. 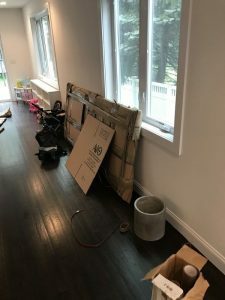 This is why you should always go for relocation professionals that have a well-standing reputation among the NJ movers. After all, you really want to avoid the scenario where your things get packed and loaded onto a truck, only to disappear, get damaged or you get overcharged for having them moved. Always check the licenses. The last thing you want is an unlicensed business handling your valuables. All in One Moving and Storage can provide proof of all licenses an expert mover should have. Take the time to check past reviews. Customer satisfaction is important for any business, especially in modern society. People tend to trust reviews from other people that were in their own shoes. And you will find only positive reviews when it comes to our Ridgefield Park movers NJ. Verify how credible the movers are through associations with others. Being accredited provides assurances needed that you are opting for a reputable company. One such verification would be approval from the BBB. Make sure that there is no fraudulent history. Background checks never hurt to do and are strongly advised. You will find no mentions of our moving company associated with any type of scam or fraudulent activity. Finding a Ridgefield Park moving and storage company that is cheap is not the same as hiring one that is affordable. After all, premium relocation services NJ can’t really come cheap, can they? If you think you can find ones that are, think twice and measure everything three times. Otherwise, you can only end up with your stuff being mishandled, damaged or even stolen. We will make sure that everything is packed and transported at affordable estimates. So, never look for the cheapest movers in New Jersey but for affordable ones. 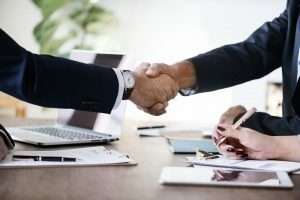 In case you are not sure what that means exactly – finding the balance between quality services and the right price for them. How do you go about doing such a search – easy enough. You first make a list of professional moving companies in NJ that handle relocations to Ridgefield Park. Then narrow the choice to those you would consider hiring. You then write off those that lack credibility and are over or underpriced. Finally, once you’re left with a few, arrange for an estimate and cross-compare the services offered with the cost. Don’t be surprised if you find that out of all Ridgefield movers NJ you find, it turns out that we are the best choice left. The last thing anyone wants is for their relocation to be a learning curve for some newly-forged movers you hire. This means that if your “professional” movers NJ express that this is their first year of conducting moves, you should be worried. 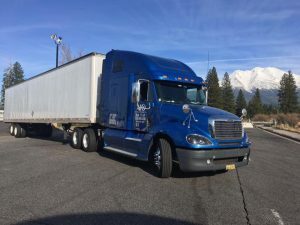 What you want is a well-established Ridgefield moving specialists with experience and the utmost amount of professionalism. This is simply another way to guarantee that your relocation will be handled with the best care possible. And with All in One Moving and Storage, this is exactly what you can expect!